Hey everyone, I'm back from my trip to Disney World with 46 other people from my work. It was a fun but exhausting trip and I took yesterday to just lay around and relax for the most part. I am definitely happy to be home, but cannot wait to go back to Disney hopefully in the near future! I arrived at my co-worker Doreen's house at 5 am on Wednesday, on my first cup of coffee and ready to get moving and head to Florida. 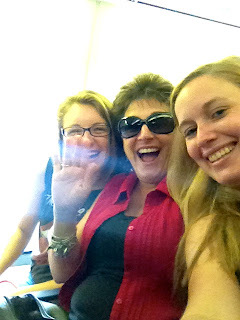 We left for the airport soon after I arrived and when we arrived quite a few of our students were already there! We counted everyone and made sure everyone was headed towards the gate and then went through security ourselves. After awhile of waiting, and grabbing yet another coffee we were flying towards Florida! After arriving, we boarded the Disney Magical Express bus and headed off to Disney World! We stayed at the Port Orleans Riverside Resort during our visit. This was a new place for me, I have stayed at the French Quarter section but never at Riverside. I wish we had been able to explore the resort more then we did because it was quite expansive. We didn't have a ton of time on this trip and chose to spend most of it in the parks, which was fine by me! It really was a beautiful resort and we got to see quite a bit of it as we walked through to our hotel rooms. We stayed in the Alligator Bayou which was very cool and themed like old New Orleans. 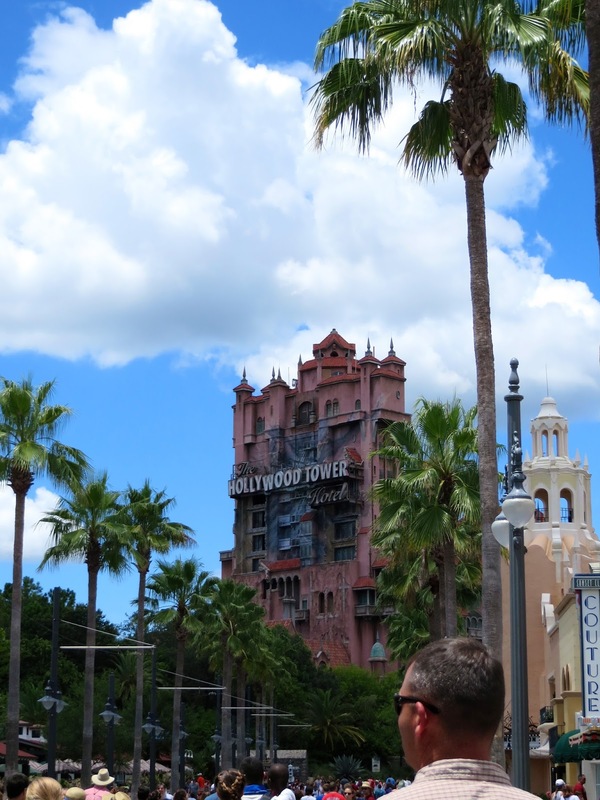 Once we had dropped off all our belongings we headed straight for Disney Hollywood Studios and hopped on Tower of Terror! This is by far my favorite ride EVER. I love it. My face is covered by some guys hand...but in the back row you can see me, Jess, Doreen, Bonnye, Isabel, Sam and Marisa. I love that we got our group to take up the entire back row! Next we went on The Great Movie Ride which I have always thought is nice, but unfortunately this time we had HORRIBLE actors on the ride. We could barely understand them and they showed basically NO enthusiasm at all! When we walked through the Pixar section of Hollywood Studios, we saw one of the toy soldiers from Toy Story and when we yelled out "Andy is coming!" he instantly froze in position!!! We had heard this rumor but were so excited when he actually did it! We also went on Rock n Roller Coaster twice in a row! Then when we got back to the hotel, we decided to take the river cruise to Downtown Disney, get some ice cream before crashing. It was a beautiful cruise down the river and a great alternative to taking the buses around Disney property! We also were able to see other hotels around the river which was nice and relaxing! That's all for day 1- I'll be back tomorrow for Day 2 which includes Magic Kingdom, our performance and Epcot!